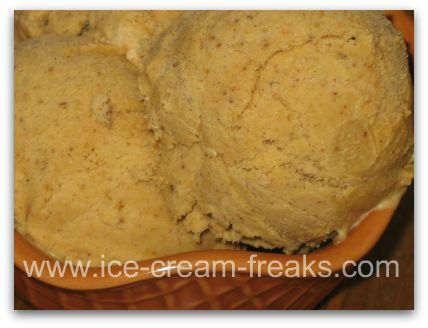 This pumpkin ice cream was made using the following recipe. It is a custard base and requires some cooking. As soon as the leaves begin to change and the weather is a little cooler, I start thinking about pumpkin pie and all the other foods that lure me into the Fall season. 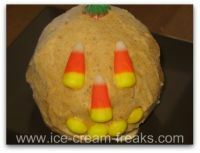 I remember licking a pumpkin ice cream cone a few times in my life. It was usually near a corn maze or pumpkin patch. Now, this flavor is available for a limited time in freezer sections everywhere. 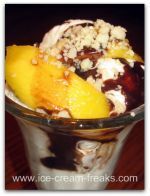 But, if I should happen to get a craving for it in the off season, I have no need to worry. All I have to do is get out my ice cream maker and make my own ice cream! Use a 2 qt. 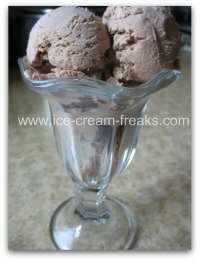 ice cream maker or cut the recipe in half for smaller machines. 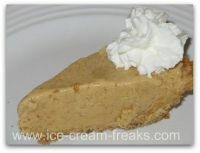 In a sauce pan over medium-low heat, stir together cream, milk, pumpkin, sugar, and corn syrup. Lower heat and let simmer, continue to stir occasionally. In a mixing bowl, beat eggs on medium speed with a hand mixer. Beat until yellow and thick. Add 1 cup of hot cream mixture in a slow stream to the eggs with the mixer on low speed. Pour the egg mixture back into the pot of cream and stir. Add the cinnamon and stir some more until the mixture thickens and coats the back of the spoon. Add the vanilla and stir again. Transfer the mixture to a bowl and place plastic wrap directly on the top of custard. Allow it to cool some, then chill in the refrigerator. 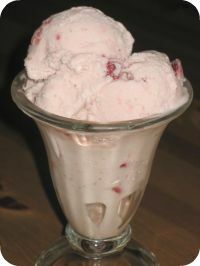 Take the mixture out of the refrigerator and freeze according to the directions of your ice cream maker. Usually takes 25 minutes. Put into containers and freeze until hardened. Turn this recipe into an ice cream pie for Thanksgiving.